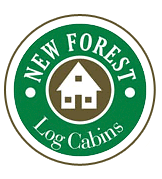 With many years of experience in the manufacturer of timber log buildings, New Forest Commercial Buildings have changed the way log buildings are constructed. Using our New Forest Log Punch Design technique, we are able to build log structures with both rectangular and oval logs to meet UK Building Regulations. We specialise in custom build constructions that adds a graceful, powerful look and feel to contemporary log structures using a blend of Redwood Pine, Larch and Timber Frame. We will build you a unique and functional building that is not only cost effective but exceptionally durable and elegant throughout it's life. CONTACT SALES for more information.